Brazilian oil and gas corporation Petrobras and international oil major Total announced Monday that they have reached a milestone in the realization of their Strategic Alliance, signed in March 2017, with the transfer from Petrobras to Total of 35% of the rights, as well as the operatorship, of the Lapa field in Block BM-S-9A in the Santos Basin pre-salt, alongside Shell (30%), Repsol-Sinopec (25%) and Petrobras (10%). 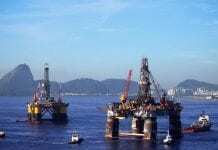 The Lapa field was put in production in December 2016, via the 100,000 barrel per day capacity Cidade de Caraguatatuba FPSO. 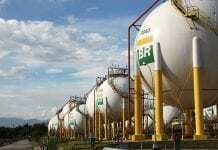 As per the alliance, Petrobras transferred 22.5 percent of the rights of the lara area to Total. This area comprises the Sururu, Berbigão and Oeste de Atapu fields in Block BM-S-11A in the Santos Basin pre-salt, operated by Petrobras (42.5%) alongside Shell (25%) and Petrogal (10%). According to Total in a press release, production in lara is expected to start in 2018 through the 150,000 barrel per day capacity P-68 FPSO in Berbigão-Sururu fields, which will be followed by a second FPSO in 2019 in the Atapu field. The release said the value of the transactions amounts to US$1.95 billion, including closing adjustments. 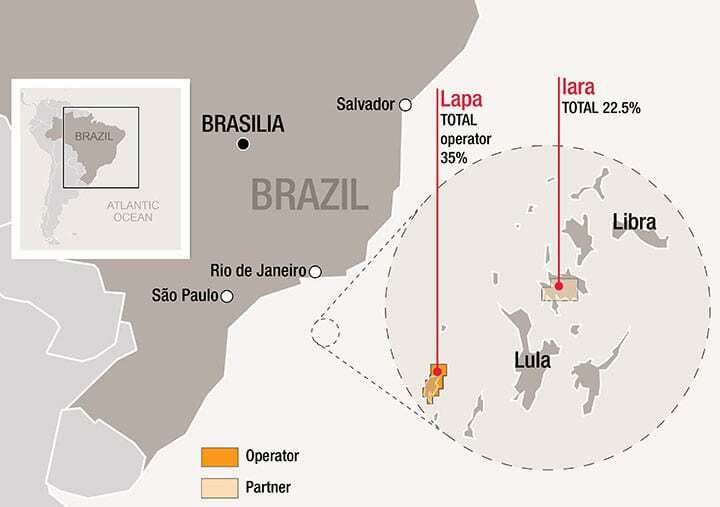 However the amount does not include US$ 400 million that can be triggered by Petrobras to carry a part of its investment share in the lara development fields and contingent payments. Total said these transactions give shape to the Strategic Alliance between Petrobras and Total, allowing them to combine their deep-offshore expertise. “These transactions represent a major step in our Strategic Alliance. As Petrobras is a leader in the pre-salt exploration and Total is a leader in deep offshore West Africa, our partnership has potential to reduce our exploratory risks and make both companies more competitive. Working in partnership is strategic for Petrobras. We believe it creates value and we will continue to further our cooperation on all segments of the oil and gas value chain,” said Pedro Parente, CEO of Petrobras.